Aleksandar Matić was born into an ethnic Serb family in Bihać, SR Bosnia and Herzegovina, the son of Zoran and Dragica. He and his twin brother Dejan were born prematurely and had a difficult first few weeks of life, having to be placed in incubators in a Zagreb maternity hospital. For unknown reasons, both babies became completely blind only days after birth. The family relocated to Belgrade in 1982, when the brothers were four years of age. It was in Belgrade that they attended music school, playing the piano. The Matić brothers finished their schooling in Zemun. 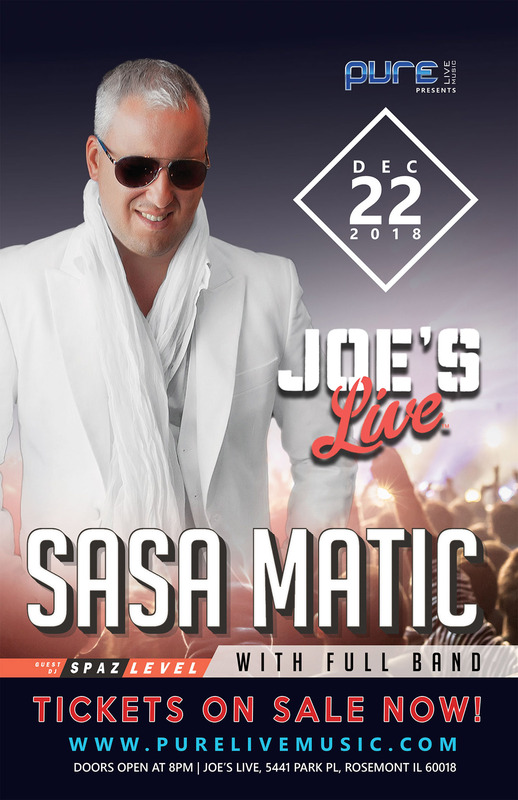 Before his professional career took off in 2000, Matić at the nightclub Club Španac in New Belgrade for three years, where he was known for performing the songs of Haris Džinović. Before that, on 8 March 1994, at a Ratko Jovanović concert in Tržnica on Banovo Brdo, Matić was selected to sing the rest of the "Zajdi, zajdi" song. It was his first public performance. Matić signed with the record label Grand Production and released his debut album Prokleta je violina on 15 March 2001. In addition to performances across eastern Europe, Matić has embarked on several tours for the Yugoslav diaspora on other continents. He has performed in the United States, Australia, and Canada. More recently, he recorded duets "Mešaj, mala" (2010) with Rada Manojlović, and "More tuge" (2014) with Severina. 541 s. La Grange rd.